President, CEO Piping Technology & Products, Inc.
Durga Agrawal was appointed to the University of Houston System Board of Regents in 2013 by Governor Rick Perry and will serve through August 31, 2019. For fiscal year 2018-2019, he will serve as chair of the Endowment Management Committee, vice chair of the Audit and Compliance Committee, a member of the Academic and Student Success Committee, and Board liaison for the Medical School. Agrawal is president & CEO of Piping Technology & Products, Inc., a company providing products and services for industrial and construction needs. He is a director of the Agrawal Association of America and a member of the India Cultural Community and Industry Trade Advisory Committee (ITAC, U.S. Dept. of Commerce/USTR). Agrawalga is also a member of the National and Texas Societies of Professional Engineers and is an advisor to the University of Houston Department of Industrial Engineering. He serves on the Cullen College of Engineering Leadership board and is also a past member of the Texas Higher Education Coordinating Board. 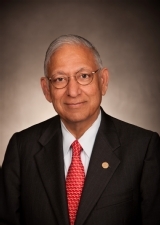 Dr. Agrawal is a member of the Board of Advisors and past president of the Indo-American Chamber of Commerce of Greater Houston, board member of Friedman Industries, and past president and current trustee of India House Houston. He currently serves on the board of directors of Asia Society Texas, and on the board of visitors at MD Anderson Cancer Center. Agrawal earned his Ph.D. in Industrial Engineering from the University of Houston.